Skin imperfections can have a major impact on your self-esteem, making you feel self-conscious and sometimes older than you feel. Here at Bodyvie, we use Harmony Laser to tackle a range of skin problems, including pigmentation, acne, tattoo removal, lines and wrinkles, and visible facial veins. Harmony Laser allows us to be incredibly precise in treating the areas of the skin that you would like to improve. We are able to harness the power of laser energy to help the skin battle pigmentation issues such as sun or age spots and brown patches. In this case, the laser will work to remove discolourations by gently exfoliating the surface of the skin using multiple wavelengths of light. Harmony Laser can also be used to remove unwanted tattoos, using the laser heat to break down the ink so that it can be absorbed by your body’s natural filtering system. Outbreaks of acne can also be tackled with Harmony Laser, which uses light to destroy the bacteria that cause troublesome acne inflammations. 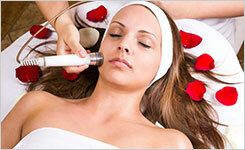 Harmony Laser is one of the safest and most advanced laser treatments available. Prior to your treatment, you will have an in-depth consultation with your Bodyvie consultant to discuss your requirements, and we will conduct a patch test to ensure that your skin will respond favourably to the laser. Each treatment may vary from one person to another. Arrange a harmony laser consultation. The treatment is relatively quick and comfortable, and an anaesthetic cream can be applied to numb your skin where necessary. The exact number of Harmony Laser sessions you will require depends on the extent and nature of what needs treating, but you can expect to need a course of treatments to achieve the desired results. We will devise an appropriate treatment programme during your consultation.